Will I Know If I’m Not in the Clique? Thoughts About the AncestryDNA Circles and Why Didn’t They Do Circles Before? 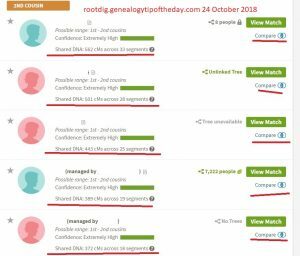 I write the following blogs: Rootdig Genealogy Tip of the Day Genealogy Search Tip All blogs have subscribe/unsubscribe links on every page where email subscriptions to these blogs can be managed. Join us!